This week’s talks between Croatian President Kolinda Grabar-Kitarović and her visiting Serbian counterpart, Aleksandar Vučić, produced few spectacular results. 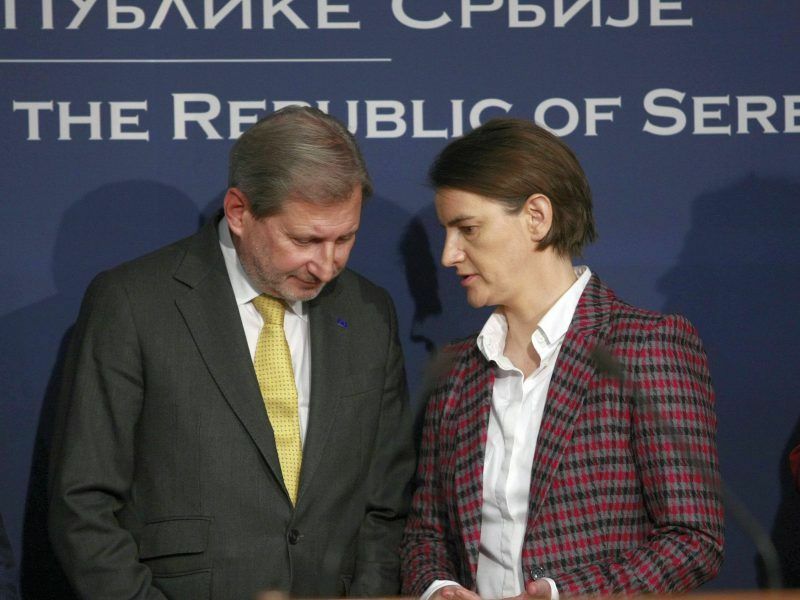 But analysts say that coming face to face was a good start, particularly for EU membership hopeful Serbia. Relations between the two former Balkan foes have been frosty in recent years and consisted mostly of trading reproaches and barbs. The high-level meeting did open a new chapter: many issues that had been swept under the rug were now discussed, including the Danube border dispute, and there was talk of a new relationship for the future. “We differ on many things, but we are inching closer on some, and will on some more in the coming months,” the Croatian president said, adding that the two neighbours had a political and moral duty to solve the festering issues that had marred bilateral relations. Grabar-Kitarović reiterated Croatia’s support to Serbia’s EU accession bid and the two heads of state decided to continue joint cross-border cooperation projects. As for the controversial Danube border, Grabar-Kitarović and Vučić said they would suggest to their respective governments to continue bilateral talks over the next two years and, should they failed to reach a solution, turn to an international court. Both Zagreb and Belgrade feel that the invitation extended to Vučić followed a “nod from the outside” to one member of the EU and one EU hopeful, whose relations have seen fewer ups than downs after the 1990s wars. Yet good neighbourly relations, regional cooperation and resolved border issues are imperative not only for the EU members but also for the Western Balkans, as the Union’s latest enlargement strategy for the region made perfectly clear last week. 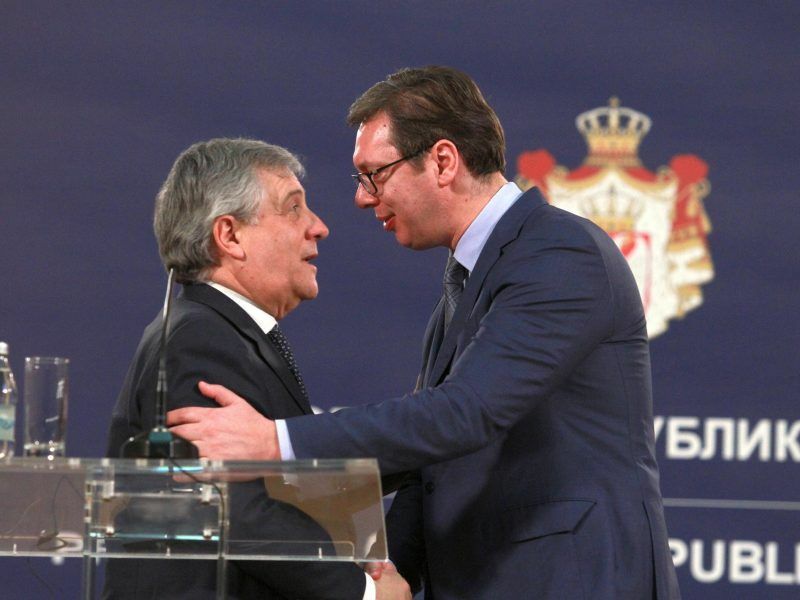 Particularly as it becomes increasingly clear that Brussels sees Vučić – the most powerful politician in the biggest Western Balkan country – as having a pivotal role in implementing reforms and delivering on agreements. “Brussels knows of the democratic deficiencies in Serbia, control of the media, the judiciary – those issues may be addressed later. The priority now is to solve the big political issues, primarily relations among neighbours,” the leading Croatian daily, Jutarnji List, wrote in a commentary after the visit. “During the visit, Vučić spoke of the need to look to the future, border issues, minority rights…as if he were quoting directly from the Commission’s Enlargement strategy for the Western Balkans document,” it said. Scoring points with supporters at home, both in Croatia and Serbia might be another reason behind the visit. There are political tensions between the Croatian president and Prime Minister Andrej Plenković. Belgrade, for its part, is preparing for a new local vote in the capital, which might be an opportunity for Vučić’s Serbian Progressive Party to have three electoral wins under their belt, after the parliamentary and presidential election triumphs in 2016 and 2017. Analysts largely agree the visit was very important, the lack of results notwithstanding, as the two neighbours have a series of open issues that need to be addressed. “For two decades already we’ve been delaying a number of problems, bequeathed to Serbia and Croatia after the armed conflicts during the breakup of Yugoslavia. It is very important to revisit the issues, and offer explanations as to how they might be solved,” Dragan Đukanovića, a professor at the Belgrade-based Faculty of Political Sciences, told Beta. The professor noted that it was also significant that the European Commission had welcomed the meetings in Zagreb as a sign of decreasing tensions between the two neighbours, which was also important for the security of the whole region.